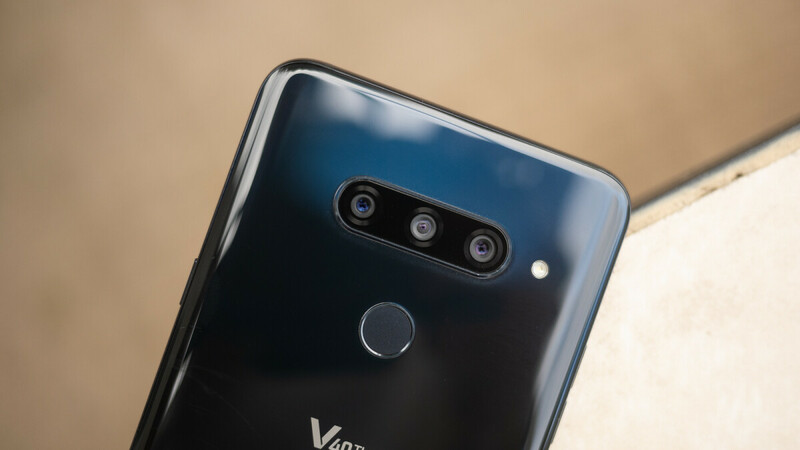 LG's newest flagship, the V40 ThinQ is getting a couple of camera improvements in the latest software update pushed out by major carrier Verizon. The Big Red has already refreshed the phone's support page to reflect the new changes and besides two new camera features, LG V40 ThinQ will also get a new security patch. The first thing your LG V40 ThinQ will get in the latest update is the so-called MyAvatar app, which allows users to create a human avatar by combining their own expressions. Make sure your camera is in selfie mode and choose Sticker so that you can take a picture or record a video with My Avatar. You can create your Avatar with the “avatar +” button, but you can also use the “Save avatar as GIF” option to animate your avatar. There are 15 different animated My Avatars saved in the Gallery / My Avatar folder to choose from. Then, there's a the Augmented Selfie option, which enables LG V40 ThinQ users to take advantage of the phone's AR features. You'll be able to apply different backgrounds using augmented reality in Portrait mode. Simply select a solid background color from the palette, and choose an image from Gallery or take a picture. Keep in mind that when you take a picture of a person after you select a background, Augmented Selfie will merge the background and captured portrait. Besides My Avatar and Augmented Selfie, the update also adds the October patch to further enhance LG V40 ThinQ's security features.